Thirty Two Picture Books Published. Over Two-Million Picture Books Sold. 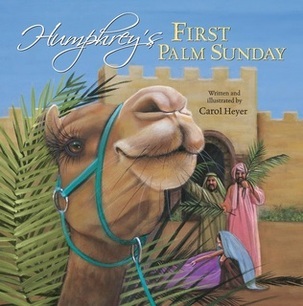 Humphrey's First Palm Sunday has just been released as a board book! It's so great to see the new format. The book is beautifully done, colors, story et al. I'm very excited to see this new incarnation. 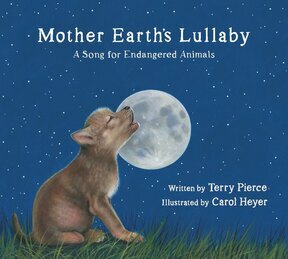 ​MOTHER EARTH'S LULLABY: A Song for Endangered Animals is my latest picture book was released this October! I'm very excited! Below are a two interior illustrations from MOTHER EARTH'S LULLABY. The rich acrylic paintings of best-selling author and artist Carol Heyer are now presented in board book form. Along with a simplified retelling of the biblical story of the Nativity. Here, young readers will be introduced to the events surrounding the birth of Jesus, including the journey to Bethlehem, the shepherds in the field, and the appearance of the Wise Men. The best-selling Easter book is now available in board book format. 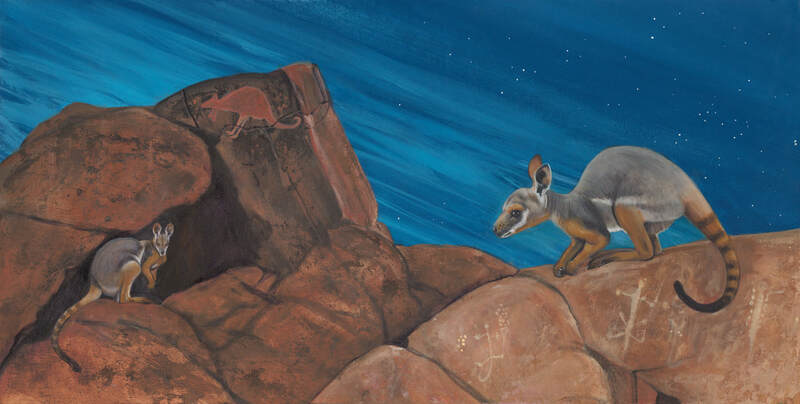 The rich acrylic paintings of best-selling author and artist Carol Heyer, are now presented in board book form, along with a simplified retelling of the biblical story of Easter. Here young readers will be introduced to the events surrounding the death and Resurrection of Jesus in an age-appropriate manner. Ages 3 to 5. "Every year during the Scholastic Book Fair...I find a book we all love, deeming it the Hit of the Book Fair! This year HUMPHREY'S FIRST CHRISTMAS is hands down now the Hit!" "I am drowning in a sea of lovely Christmas picture books...And I'm not sure I can resist the divinely silly HUMPHREY'S FIRST CHRISTMAS by Carol Heyer — a story about a camel's journey to the stable and the surprise he finds waiting there." "A book read many times during Christmas at the Billy Graham Library in Charlotte, NC has a charming conclusion. Humphrey whines and complains because his blanket is lost. He tries many hilarious ways to stay warm. The beauty of the story is when this self-important camel beholds the Christ Child." A Norwegian publisher has purchased rights to my original picture book HUMPHREY'S FIRST CHRISTMAS! Humphrey's name was changed to Konrad the Kamel. Alliteration rules! So exciting to see Konrad's Forste Jul. A new follow-up to the popular Humphrey's First Christmas that finds Humphrey in the midst of Jesus' triumphal entry. The delightfully goofy camel we met in Humphrey's First Christmas is back, three decades older and not much wiser. He wants nothing more than to be the lead camel in the caravan, so he can improve his view. When the caravan leads him to Jerusalem, he crosses paths with Jesus making his triumphal entry. Humphrey is delighted to see Jesus, now a grown man, and remembers the Child to whom he gave his coveted blanket all those years ago in Bethlehem. The Norwegian publisher, Juritzen Publishing in Oslo purchased the rights to my original picture book HUMPHREY'S FIRST PALM SUNDAY! His name was changed to Konrad the Kamel. So exciting to see Konrad's Forste Palmesondag! "The fun in this picture book comes in the contrasting styles of the illustrations, which include contributions from Carol Heyer ... The girl's story features bright colors, flowers, and long golden locks ..."
"...Heyer's hyperrealistic art functions well to depict the imaginations of the narrators; children of both genders will relate..."
"A flaxen-tressed Queen named Tenderheart, depicted with airy delicacy by Heyer... The artistic mashup illustrates the value of collaborative effort as hilariously as does the tumultuous tale." "Carol Heyer's books rise above the rest with her lush attention to detail, both in her illustrations and words. THE LITTLE SHEPHERD'S CHRISTMAS is reverent and warm, however parents and grandparents will celebrate that it's not just another accounting of the first Christmas. Boys and active girls, especially, will identify with this young shepherd's need to prove that his name, Reuel, does not mean "tiny gray mouse that follows his brothers everywhere." There's adventure and action, too, and the story's heartwarming conclusion brings Reuel to baby Jesus' side at the manger -- and an unexpected answer to his quest. Perfect for engaging the attention of even the wiggliest of listeners." "Known for her intensity of color and composition, Heyer is the appropriate artist for this story of great importance for many families. It's about time the stories were told with illustrations of better quality, with artists equal to the challenge." "The illustrations are stunning. In a word: reverent. The bold colors cause the light in the pictures to bound off the pages. With every turn of the page, I caught my breath as another piercing illustration caused a reverie. What's even more impressive is the text is clean, and simple, and serves as a faithful backdrop for the pictures..."
"…younger dinophiles will find the full-color, detailed illustrations convincingly scaly and realistically ugly, especially good is Heyer's Pachyrhinosaurus with its swirling multihued skin." "Heyer's retelling is stately and dignified, and her lovely acrylic paintings should fire kids' imaginations." "... illustrated in exquisite detail by Heyer's richly colored portraits." "Carefully detailed pastel drawings invite examination and comparison." BEAUTY AND THE BEAST is retold and illustrated by Carol Heyer in a coverage which is one of the strongest visual presentations of the story to be marketed in book form. If only one version were to be selected, place Heyer's high on the list." "An enchantment of word and image." "Lush, fantasy calendar art, with illustrations in acrylics and pencils illustrate the story of how King Arthur got his sword, Excalibur...a good blend of contemporary and legendary language." "Heyer presents a workmanlike compression of the life, death and resurrection of Jesus into a standard picture book format. Her vividly colored paintings are the book's best aspect, although Heyer interestingly chooses not to portray Jesus's face. THE EASTER STORY can serve as a creditable catalyst for family discussions regarding the true meaning behind this important celebration." "Heyer's realistic acrylic paintings are reminiscent of the dramatic style of Maxfield Parish with the characteristic deep blues and purples...would also be useful in art classes for studies in style, portraiture...."
"Vibrant acrylic paintings add elegance to the presentation." "Heyer's workmanship is as skillful as Robin's marksmanship."